Lawmakers created the commission last year after the Texas Supreme Court found the funding system flawed but constitutional in 2016. 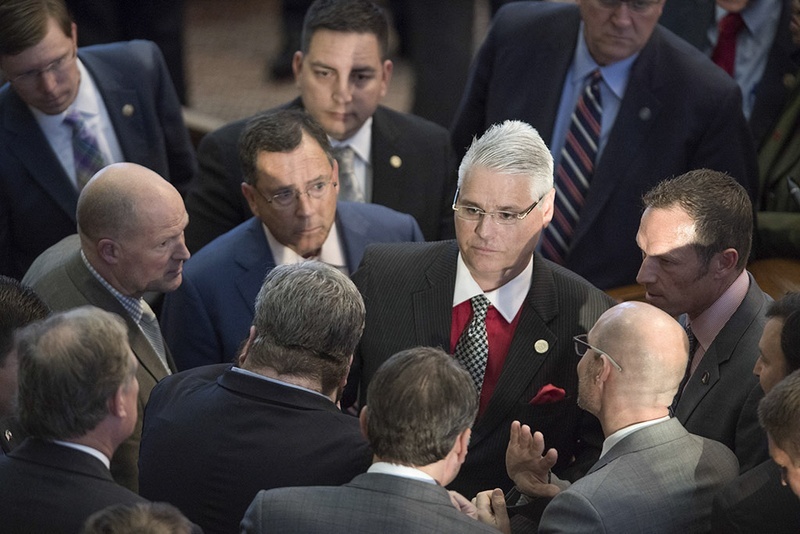 State Rep. Dan Huberty, R-Houston, chairman of the House Public Education Committee, after his bill overhauling school finance got a preliminary nod, 134-16, on April 19, 2017. 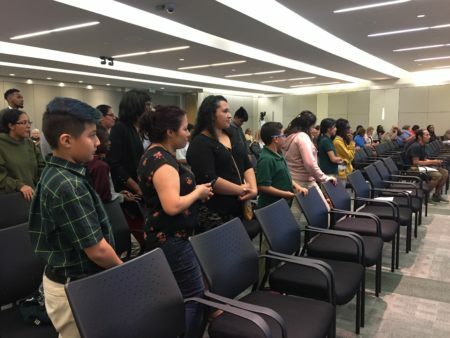 More than a dozen Houston parents are headed to Austin Monday to tell state officials what’s wrong with how Texas funds public schools, in what’s their first chance to testify before the new Texas Commission on Public School Finance. Heather Golden has two children in Houston public schools. She’s seen firsthand what the drop in the state’s share of school funding means. Legislative analysts calculate it’s dropped by about $340 per student since 2008. Local property taxes now fund the majority of public school funding in Texas. 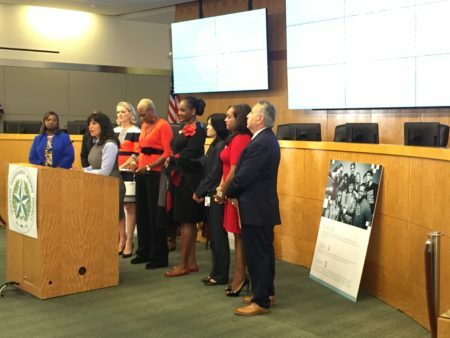 Golden said that she hopes the commission recommends more funding for English-language learners and at-risk children — and an overhaul of the so-called Robin Hood system that requires property wealthy districts to send local tax dollars to the state, even if they enroll mostly poor students, like Houston ISD. 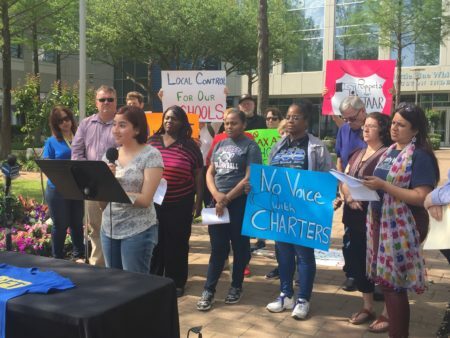 “I think it’s important that they hear from parents who participate in large urban districts and see how expensive it is to educate kids who come from different places. And they need to hear from us, so they know what’s happening because I don’t see them walking our schools,” Golden added. Lawmakers created the commission last year after the Texas Supreme Court found the funding system flawed but constitutional in 2016. 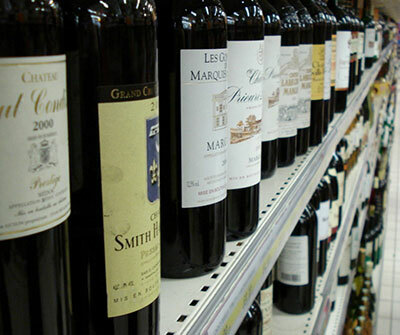 Its members include lawmakers, business leaders and educators. The commission’s meeting starts at 9 a.m. Monday and will also be broadcast online at the Texas Education Agency here.